Is this server+client, or just server side mod? so is this cross compatible? If you have a thermal expansion copper and do the /odc, all the other copper types convert into thermal expansion, but is there a scenario where a recipe requires ic2 copper? This mod simply lets you convert all the ingots you have to a single type, they should all work in any recipe, assuming the mod that adds the recipe is smart about the way they do recipes (ore dictionary respect). 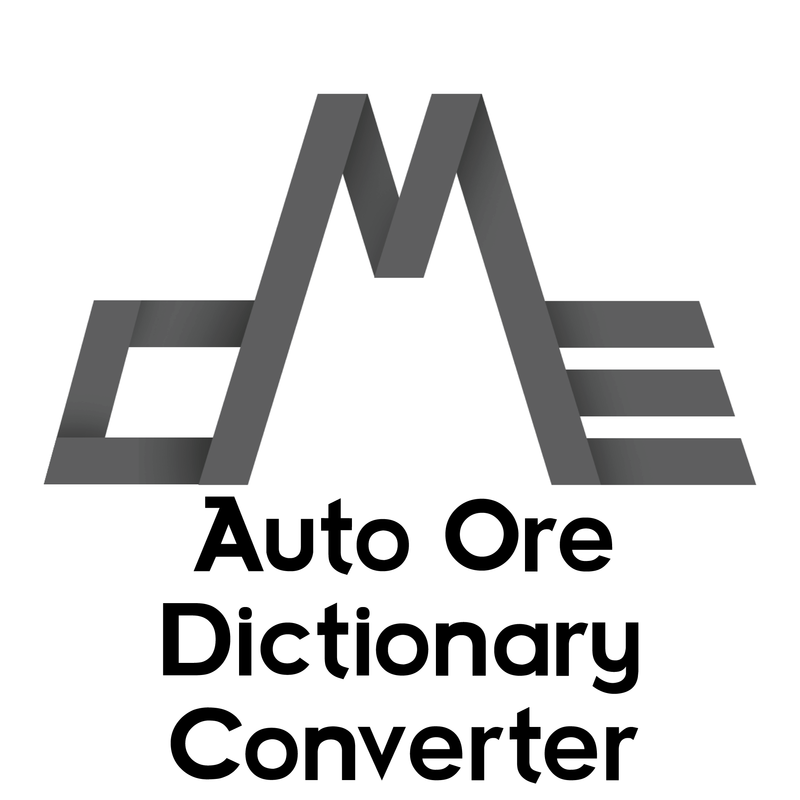 Have you considered creating a feature where a block or item that has been configured as its default counterpart (Such as GC Copper Ore or ExNihilo Copper Ore Chunks) will be dropped when all other blocks in the dictionary chosen (Eg: oreCopper) Are broken, this would eliminate some conversion problems for things like Buildcraft Quarries containing multiple of that ore and eliminate the need to use the dictionary converter with such machines, of course this wont fix all automatic block retrieving systems but would definitely add a fix for some. The file should be located in your normal forge config directory under a "mattdahepic" folder. If it's not created, you can create it yourself or make sure that your folder permissions allow the game to create it on its own. Im having serious fighting issues with RS Silicon and AE2 Silicon that I need to solve. Your wish is granted, albeit later than expected. Most 1.9.4 and 1.10.0 mods work on 1.10.2 without changes so I will not be backdating the 1.10.2 version to 1.10, sorry. There will likely not be a "recommended" version of forge for 1.10.0 so most modpacks will end up on 1.10.2 anyway. I've been using this in a personal modpack and come across an unexpected consequence: when picking up something that's going to be converted, it starts filling up additional inventory slots. It seems like the following happens: if X is going to be converted into Y, I pick up X...but because X isn't Y, it doesn't stack with all the rest of my Y. It goes into a new inventory slot. Then, immediately, it's converted into Y, so now I've got 2 or 3 or 4 inventory spots filled with one each of Y. Even turning on "sort on pick-up" using InventoryTweaks doesn't handle it, not automatically. I have to keep pressing the shortcut to sort my inventory to keep things stacked appropriately. I'm using AutoOreDictConv 1.3.1 and MDECore 1.0 for 1.7.10, Forge 1614, and yes, I did make sure it still happens when I'm not using any other mods besides AODC and MDEC. Do you have a fix or workaround for this? This has been fixed in v1.10.2-1.1. Minecraft 1.7.10 is no longer supported is no longer supported and as such this change will not be backported. Please update if you can.